Currently, tourism generates more money than food products, automobiles, and even oil exports worldwide. It is a non-perishable service that continues to generate income, giving individuals with careers in tourism a sense of security and optimism. Tourism is a huge part of international commerce and has become one of the main income sources for many developing countries. From 1950 to 2010 the number of international tourists increased from 25 million to 940 million. It is estimated that tourism contributes approximately 5% to international economic activity; in 2010 tourism generated about $919 billion dollars (€ 693 billion) internationally. Also about 6–7% of jobs worldwide are related to tourism. As the number of emerging tourism destinations continues to grow, the number of available careers in travel and tourism will continue to increase as well. International students who are interested in pursuing a career in tourism should watch the new and emerging markets for job opportunities. The most significant increases in tourism are expected to occur in China, India, and South-East Asia. The Gulf-States of the U.S. along with Eastern Europe, Latin America, and parts of Africa are also some of the newest emerging tourism destinations. We can see that these markets have already started to draw international tourists as data shows these areas have increased the number of tourist arrivals from 32% in 1990 to 47% in 2010. Also, in 1950 the top 15 tourist destinations absorbed about 88% of all international tourists, but in 2010 this number decreased to 55%, proving that these new and emerging markets have begun to attract an increasing number of tourists as well. Tourism worldwide is expected to continue to grow into the new millennium. The World Tourism Organization (UNTWO) has released a forecast stating that in 2020 the number of international tourists is expected to reach 1.2 billion. The forecast also states that the top three tourism regions will be Europe (717 million tourists), East Asia and the Pacific (397 million), and the Americas (282 million), followed by Africa, the Middle East, and South Asia. It can be assumed that the majority of new jobs will be available in these destinations; international students should consider these locations when planning a future in the tourism industry. 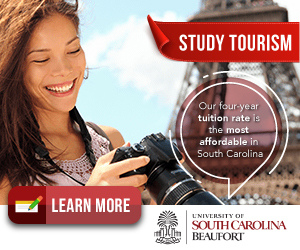 In order to attain a career in travel and tourism usually an Associate's or Bachelor's degree is recommended. An undergraduate degree in travel services provides international students with many study options; students can choose to major in tourism management, hospitality, travel entertainment, hotel management, destination management, etc. Earning a degree in travel services will give students useful skills that can be applied to many different types of careers within the field. For example, an individual with this type of degree could work as a travel guide, convention planner, hotel administrator, transportation coordinator, travel agent, corporate travel representative, or as a travel and tourism manager, just to name a few. Despite the growth in job opportunities within the tourism industry, it is expected that the need for travel agents will decrease due to the comprehensive travel services available online. International students may want to shy away from this job as attaining a career as a travel agent seems unlikely in the future. In conclusion, careers in travel and tourism provide individuals with a diverse collection of different job locations and opportunities. The World Tourism Organization's tourism forecast predicts the industry will continue to grow worldwide throughout 2020. The number of careers in tourism is also expected to increase as new tourism destinations and markets develop. Many of these new career prospects will be located within the emerging markets of Asia, Africa, and Eastern Europe.